If you are like me, marijuana has been suggested as a treatment for your multiple sclerosis by caring young friends, family members and/or co-workers. It is the new cure all for everything from cancer to multiple sclerosis or anything else that ails you, according to some. Before you run out and jump on the bandwagon, keep up with the latest research. This week the University of Michigan published a concerning study that suggests using marijuana over an extended period of time may dull the brains response to rewards – a motivator for many in accomplishing tasks in life. When a person is no longer motivated by reward the replacement pleasure becomes the drug itself increasing the risk for addiction and usage or trading in marijuana for something with a greater high such as a more dangerous drug. Marijuana, called the “safe” drug by many, may actually steal away one’s desire to succeed in life. 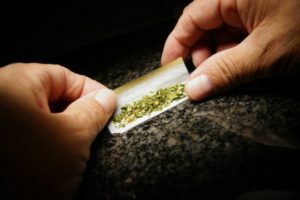 Read more on ScienceDaily, “Marijuana use dampens brain’s response to reward over time” at https://www.sciencedaily.com/releases/2016/07/160706114407.htm. Image from same site.